Azva is all about gold jewellery that appeals to the contemporary, glamorous and versatile, jewellery with life beyond lockers. Be it on a woman with bridal aspirations or the next best fashion trend. 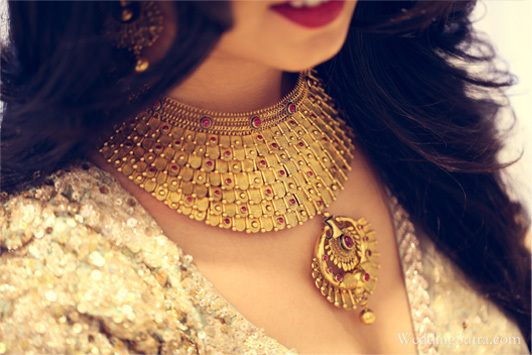 Modern flair of the gold jewellery collection inspired by the seven vows is the perfect bridal blend. A diary of styling tips, memorable makeovers, look books, make up that will enhance the jewellery and hair that compliments it well, creates a world of awe inspiring reinventions of style that is impressive and fashionably coveted.